The Supreme Court of Pakistan ordered on Wednesday directed for amendments in the declaration made by the Finance Ministry for increase in sales tax on POL products. A three-member bench of the Supreme Court led by Chief Justice Iftikhar Muhammad Chaudhry resumed hearing in a suo motu notice over the increase in POL prices following additional general sales tax levy on POL products. The Finance Ministry had issued a declaration notifying increasing in POL prices to curb “hoarding” of petroleum after an increase of one percent general sales tax was announced during the recently-held budget session. Giving his remarks, the chief justice said not even the president of Pakistan was authorised to impose any tax and the increase in GST was illegal. The Federal Bureau of Revenue submitted during the hearing the list of items exempted from tax, according to which 70 items, including eatables and medicines, were exempt from imposition of tax. Counsel for Oil and Gas Regulatory Authority (OGRA), Advocate Salman Akram Raja, and Attorney General of Pakistan Munir A Malik submitted that the government could increase GST on any product in accordance with the “Provisional Collection of Taxes Act-1931”. 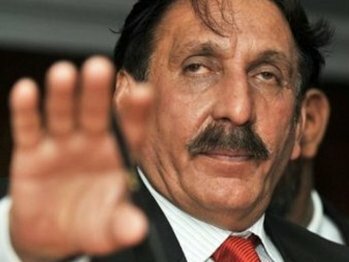 Chief Justice Iftikhar Chaudhry said no law could be adopted that was repugnant to fundamental human rights. He further said the public would not be made to bear the additional burden under the guise of British-era laws, adding that colonial system of 1931 did not prevail in the country. The CJP further remarked that the increase in GST had resulted in an increase of all commodities, forcing out billions of rupees from the consumers’ pockets. The hearing was adjourned until today (Thursday). However, how can judicial system get the taxation, revenue collection policy and budgetary control (unless it is discriminatory) in their domain ??? Would the civilian government have any role left for it to run the country ??? Or, it's going to be IC dictatorship in the background ?? ?